Sosha’s diaper leaks, resulting in wet jeans and a wet bed in this video. This scene comes to us directly from Sosha; She shot it herself in her bedroom. 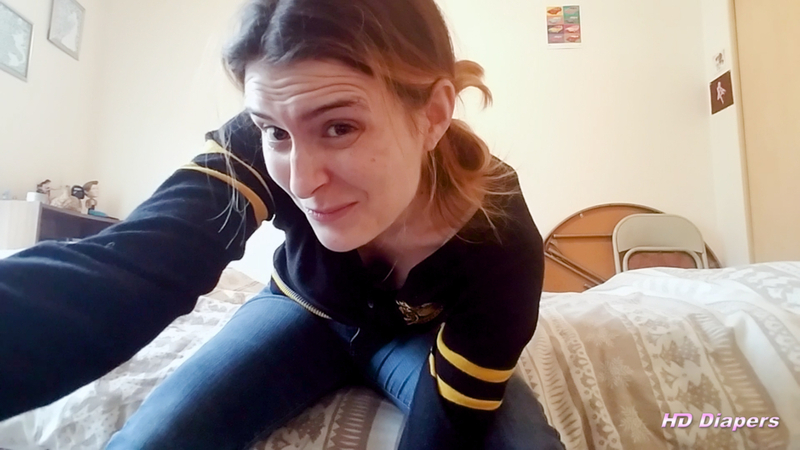 In the video, she is wearing a pull-on style diaper under her jeans while sitting on her bed. Needing to pee, she intentionally goes in her diaper, but it ends up leaking. The resulting leak is enough to substantially wet her jeans, and make a damp patch on her bed. She shows off her wet jeans, then pulls them down revealing her soaked diaper before saying goodbye.